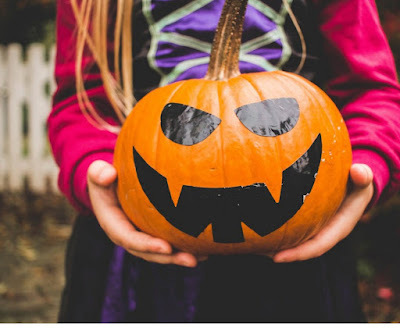 As Halloween approaches, kids start dreaming of endless supplies of candy, and parents think about how to keep their Trick or Treaters safer as they roam the neighborhood streets. U.S. Cellular has tips on how to use smartphones to get into the holiday’s spooky spirit. In addition to important safety apps, there are some frighteningly good apps that adults can download to become more creative, and a better ghostbuster. • Family Locator Keep tabs on trick-or-treating family members with the Family Locator app. This free app allows parents to see kids’ locations in real time and get notifications when they reach their destination. • Red Panic Button In case of emergency, parents can ensure they’re reachable at a moment’s notice with the Red Panic Button app. A press of the button sends an SMS and email with a link to Google Maps and GPS coordinates to everyone in the panic contact list. • Shoot the Zombirds game allows you to take charge as a pumpkin-headed boy to save all the little pumpkin children! You’re only objective is to shoot down the zombie birds before they take those precious pumpkiddos away. Collect points and coins as you go through each spooky and haunted level. • Ghost Radar Have a little fun this Halloween with the Ghost Radar app! This free app takes Halloween safety to a paranormal level by alerting users to any possible paranormal activity in the area. Ghost Radar takes various readings on the device, and includes a voice to announce when interesting words have been detected. • Halloween House Customize your Android device with a haunted house, designed by you. Halloween House includes dozens of exclusive icons, live, 3D dynamic wallpapers, interactive themes, sounds and much more. For more information about Out Box visit us at www.outboxcomm.com or Twitter.com/MWat or Twitter.com/OutBoxComm or email us at outboxcomm1@gmail.com.